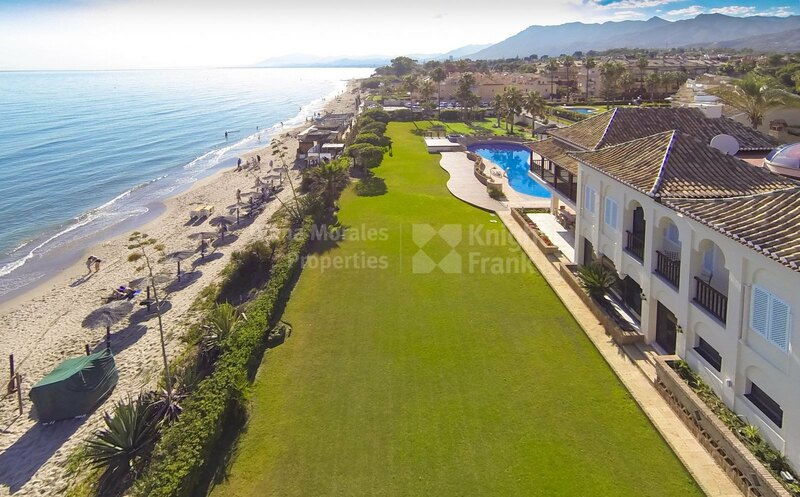 Please, send me more information about ref DM4074 in Las Chapas, Marbella East or similar properties. 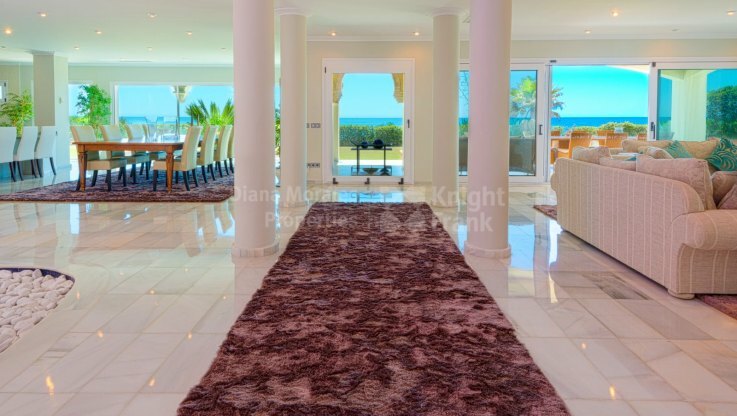 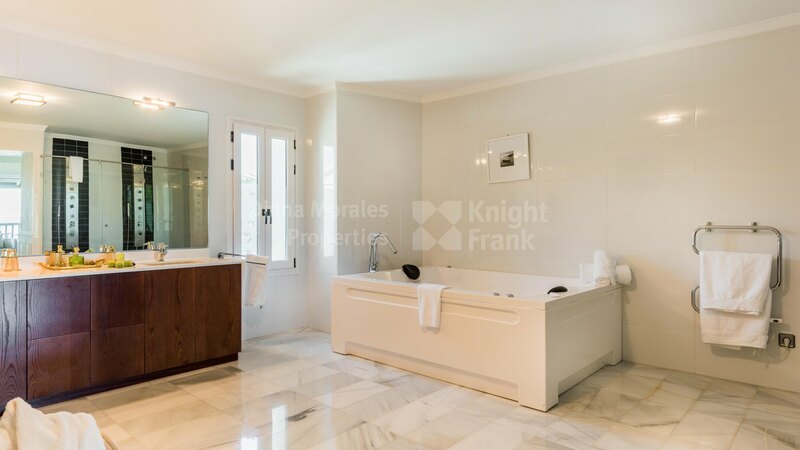 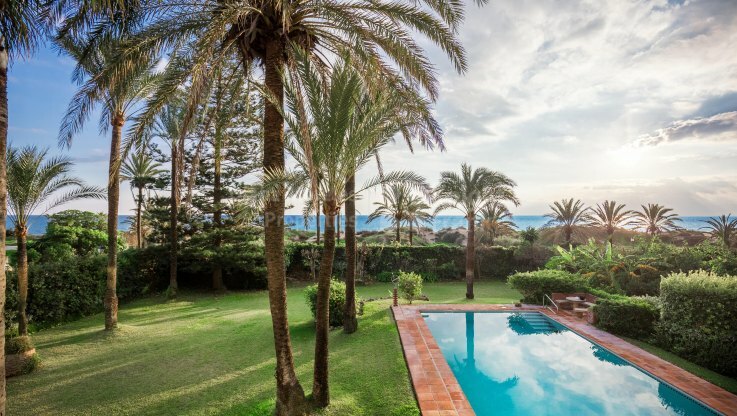 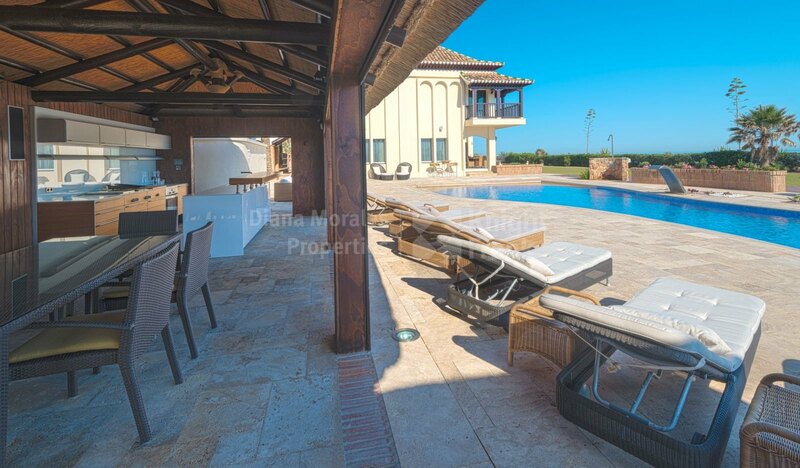 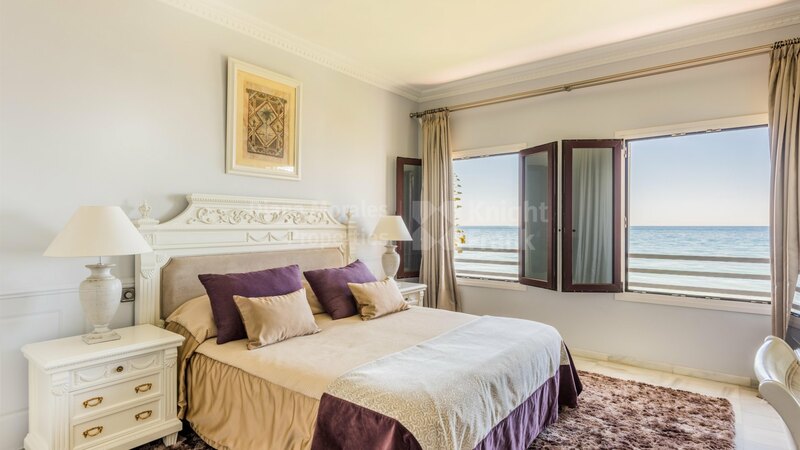 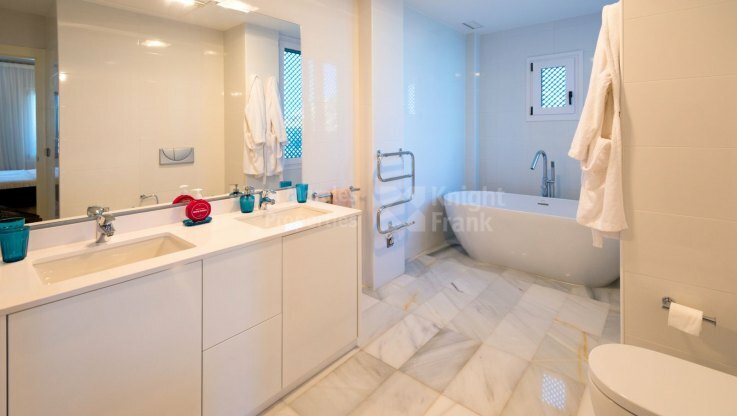 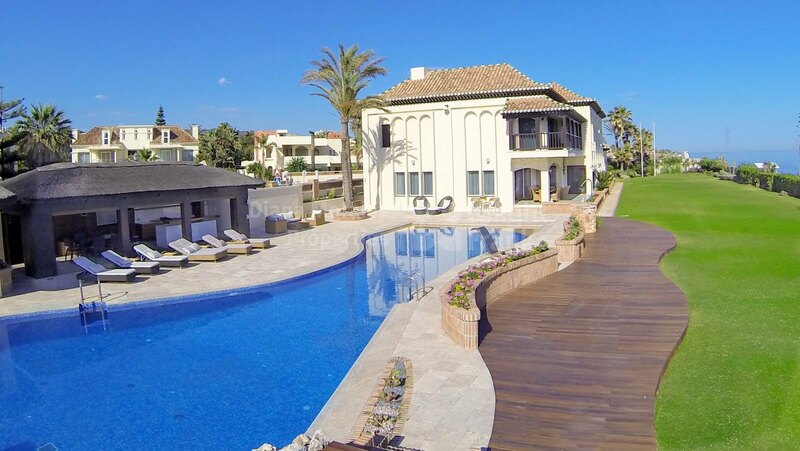 Luxurious villa, recently reformed and redesigned according to the modern tendencies situated in the very front line of the beach just a short drive to the centre of Marbella with professional and commercial services. 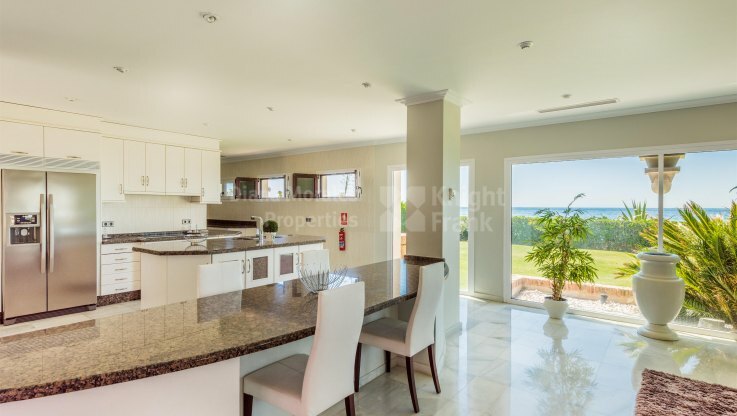 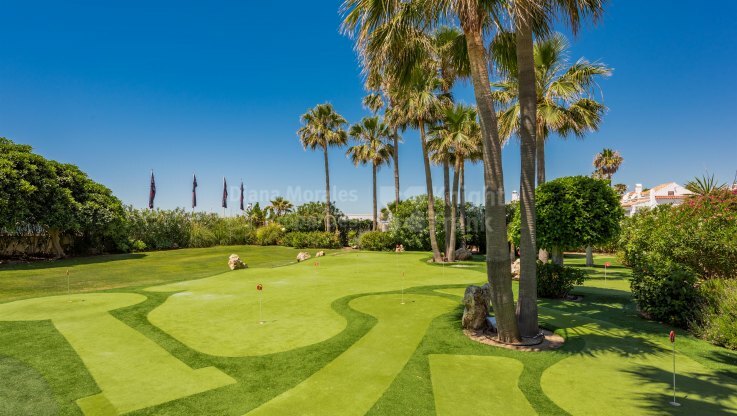 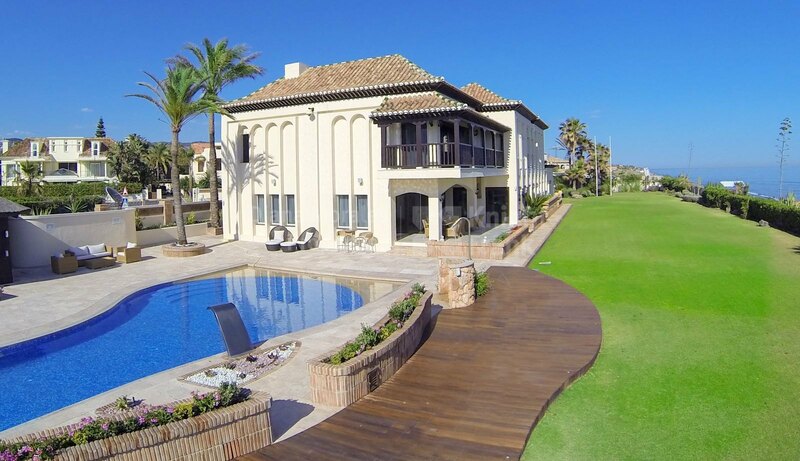 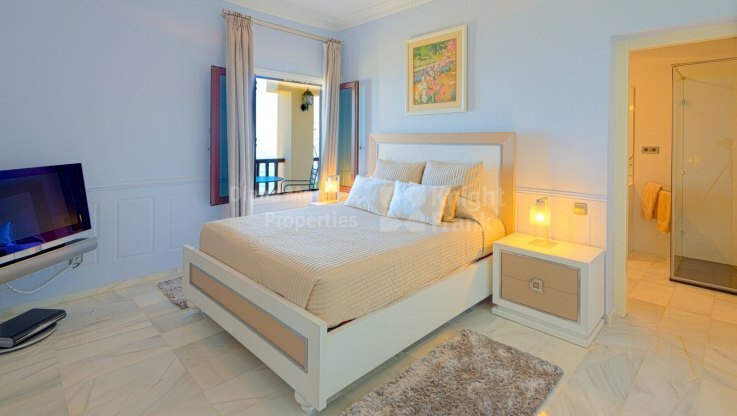 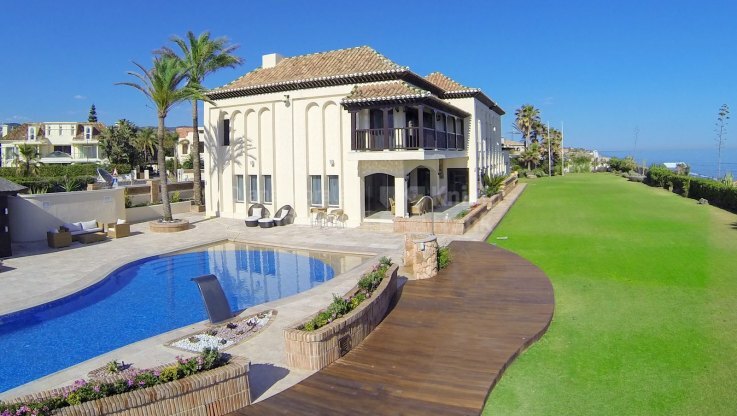 This house with direct access to the beach, boasts sea views and extensive private garden with pool, jacuzzi and an 18 hole putting green designed by a professional golf player. 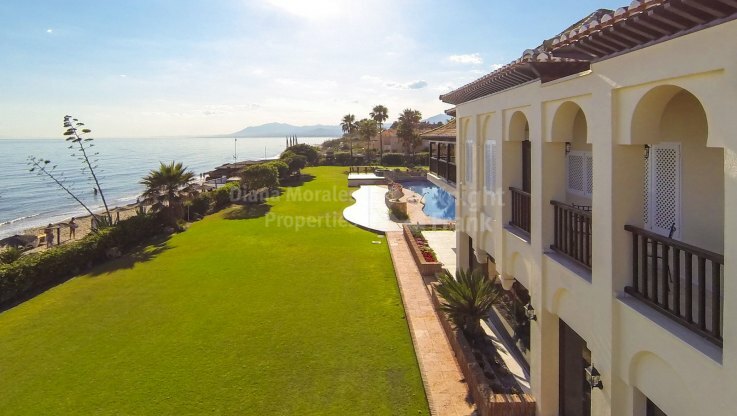 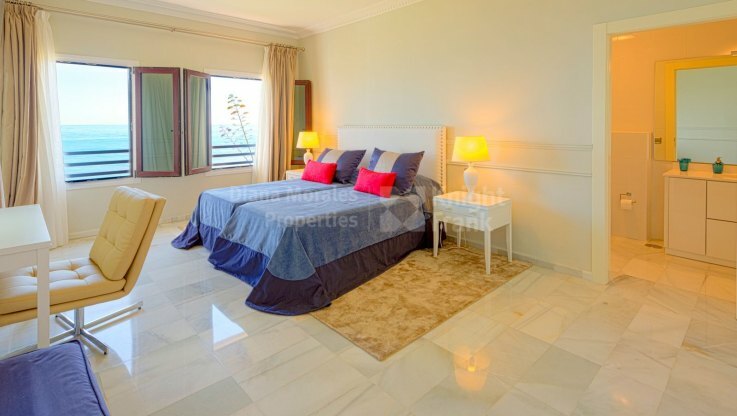 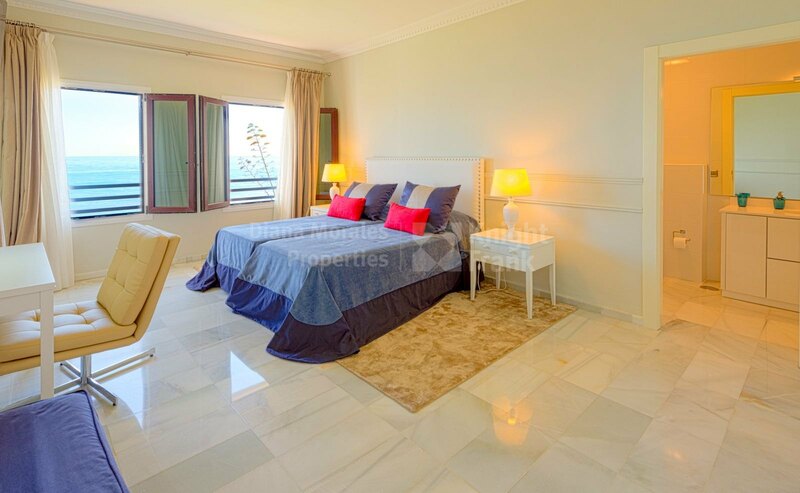 It nestles within one of the emblematic and established communities of Marbella. 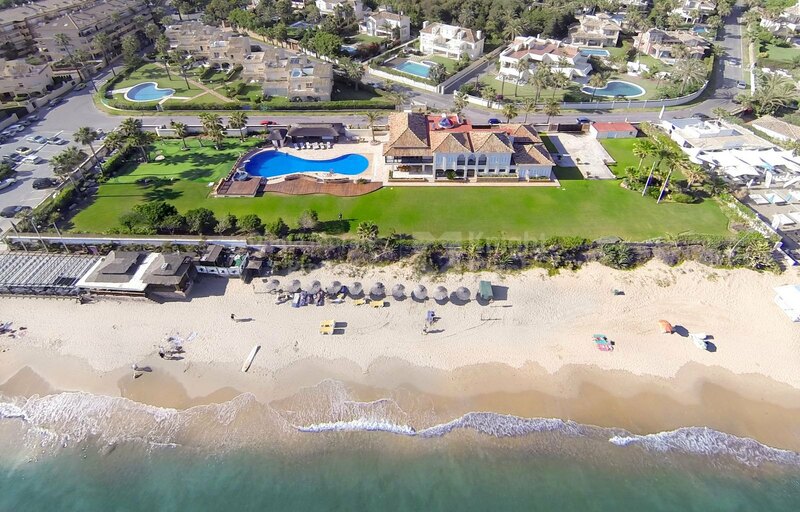 The beautiful views of the Mediterranean towards Africa and the dunes of the magnificent beach offer a relaxing peace of mind. 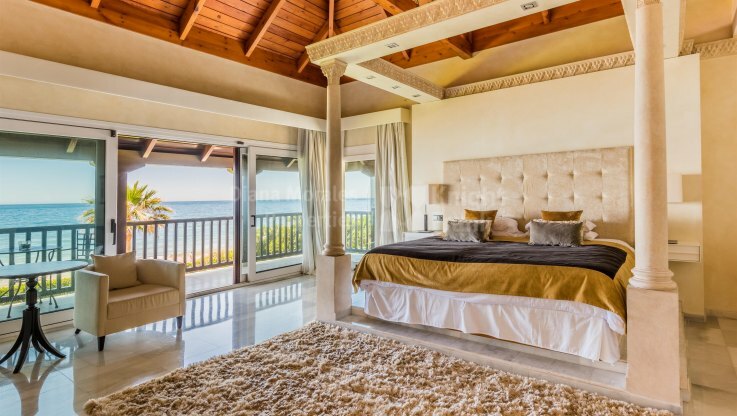 This two storey villa is comfortably distributed receiving with a magnificent double height elegant hall with winding wooden stairs to the upper floor, the spacious living room with a fireplace, dining room, fully equipped kitchen and laundry. 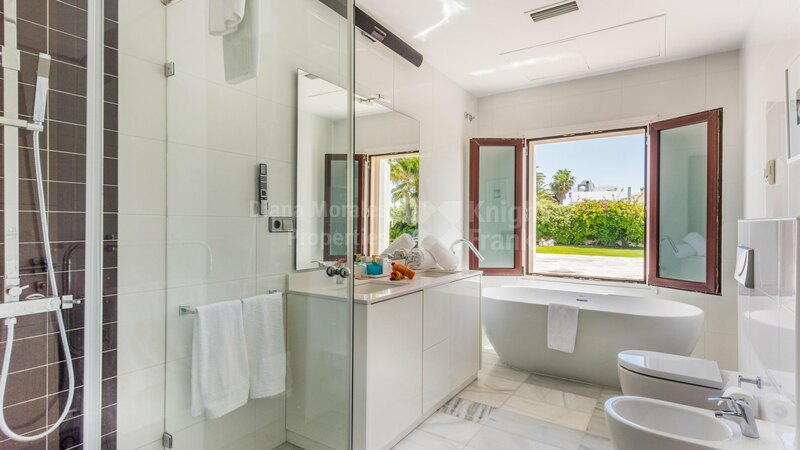 Further accommodation on garden level includes a guest toilet and 3 bedrooms with bathrooms en-suite. 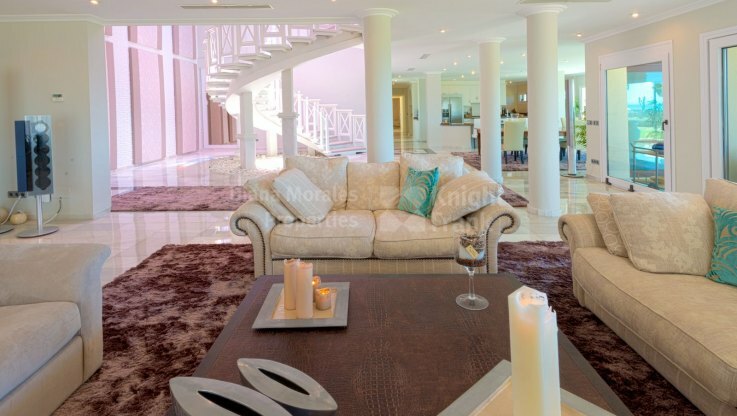 Off the lounge there is a partially covered terrace with stairs down to the garden. 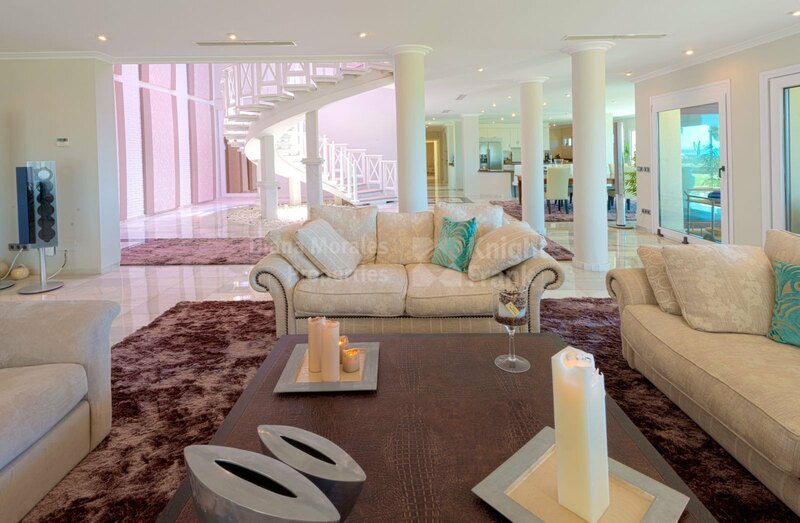 The upper floor is housing a large master bedroom with vaulted wooden ceilings, sitting area, dressing room, private terrace and a bathroom fitted with marble. 3 more bedroom suites complete this level. 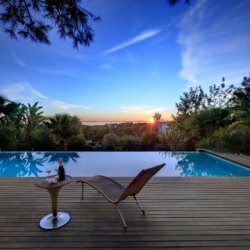 The outside area comprises a large thatched gazebo with Bulthaup kitchen, BBQ and bar, 28 meters heated swimming pool with massage, jet stream and automatic self cleaning system, and separate outdoor jacuzzi. 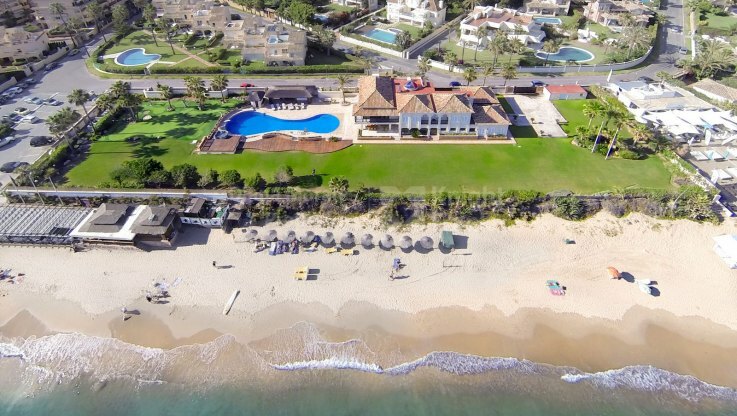 There is a parking space for 6-7 cars. 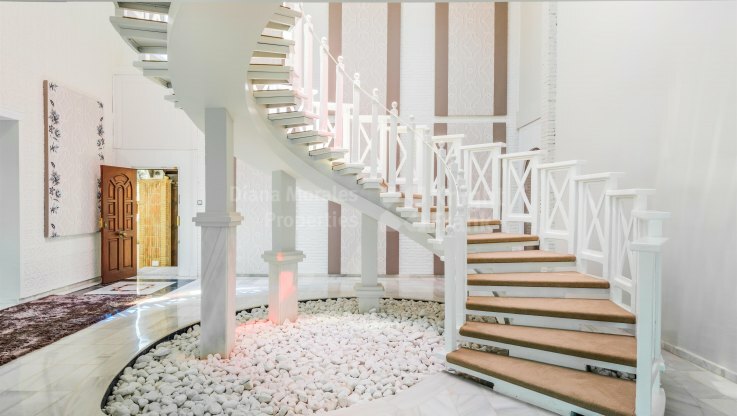 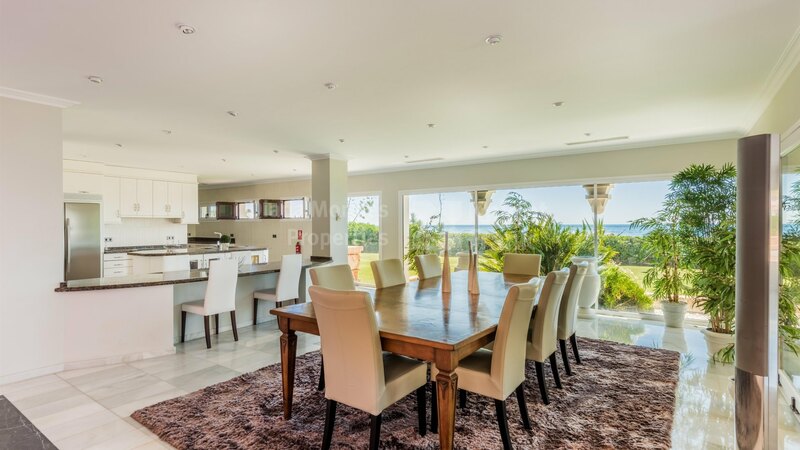 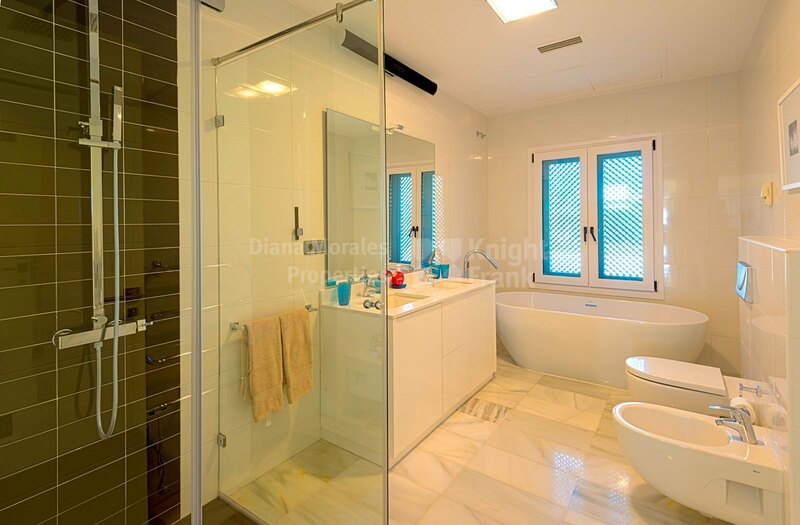 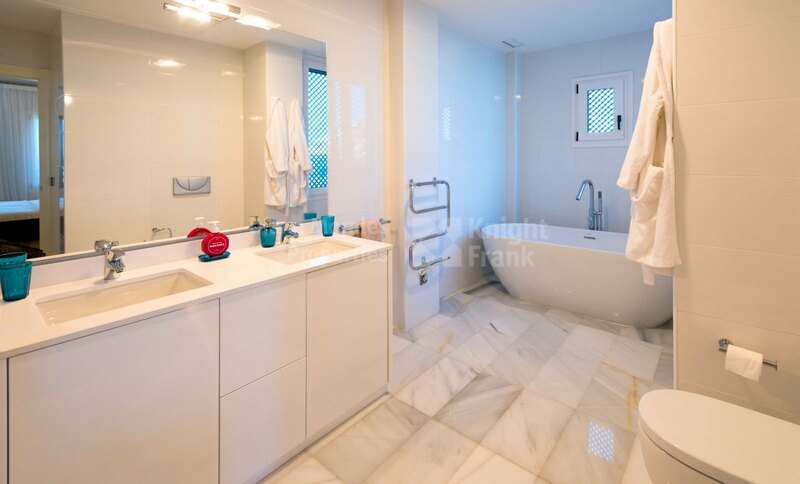 This property offers high quality marble flooring, air conditioning with heat pump, wooden beam ceilings, a fire place, Satellite TV, alarm system, water tank and water well. 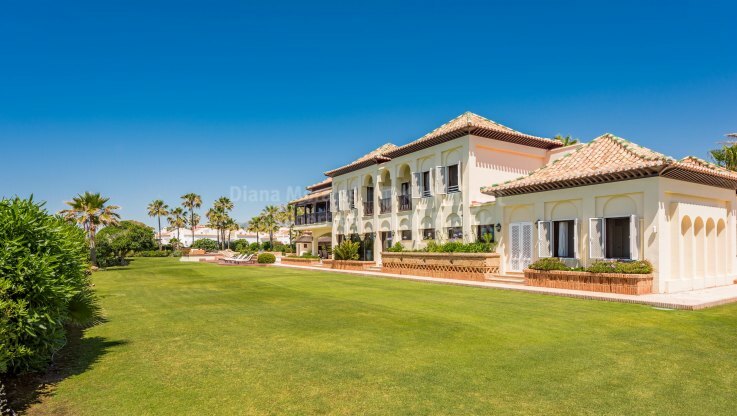 A rare property of its kind, offering residents a quiet and relaxing experience by the sea.